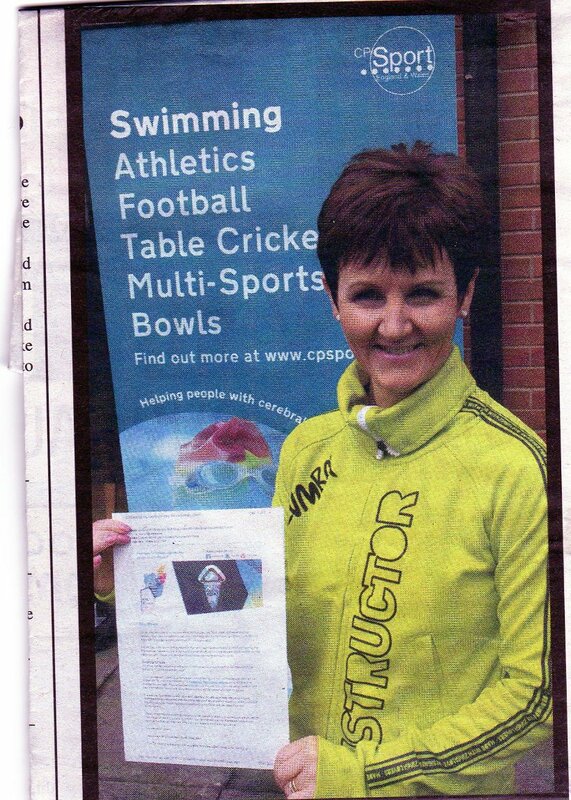 Great feature in the Cheadle and Tean Times ( Stunner ) this week. Glittering improvement: Maura is pictured with the shinney new glitter ball yesterday, Tuesday. 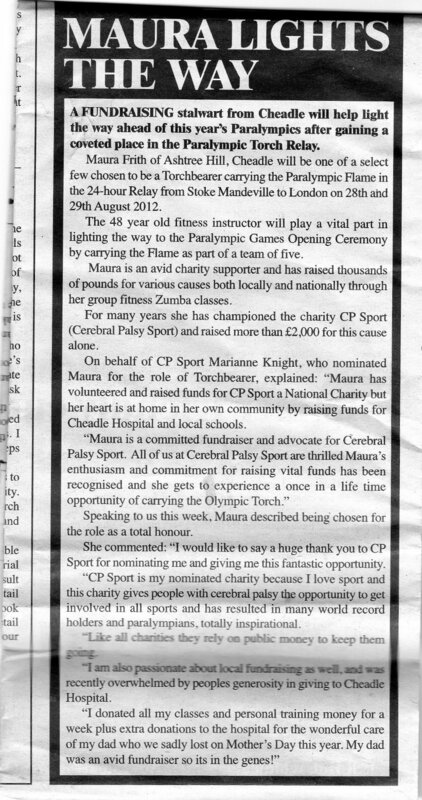 Article in the Cheadle & Tean Times - Wednesday 31st August 2011. 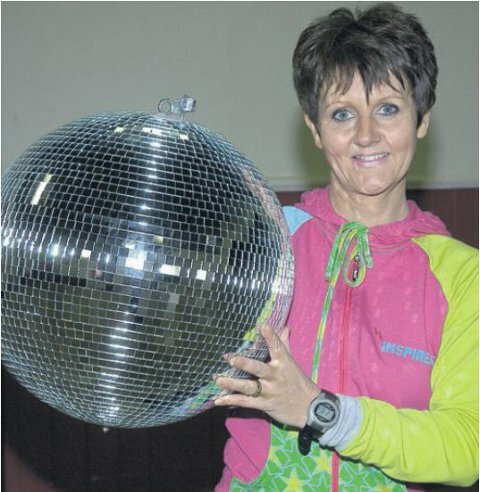 DISCO fans are in for an exciting treat now that local Zumba Instructor Maura Frith has installed a brand new glitter ball in Cheadle Guild Hall. Maura who hosts weekly fitness classes at the popular local venue, uses the glitter ball as part of her routine and decided it was time to give things an update. She explained: "My dad used to be the caretaker at the hall and it has always been very close to my heart." 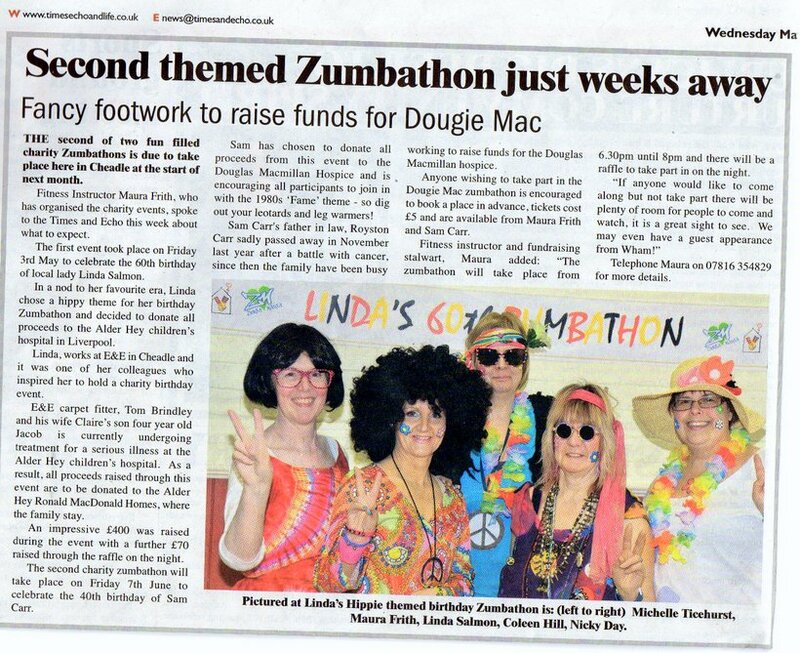 "The old glitter ball was looking a bit tired and shabby and as I use it a lot as part of my Zumba class I thought it would be nice to purchase a new one." The Cheadle Guild Hall was built between 1928 and 1930 and this is the first time the glitter ball has ever been replaced. The original one was made of glass and metal and the new one made of polystyrene. 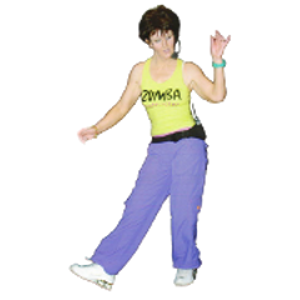 ZUMBA Dance Style Fitness is the biggest and hottest fitness craze to take the nation by storm. 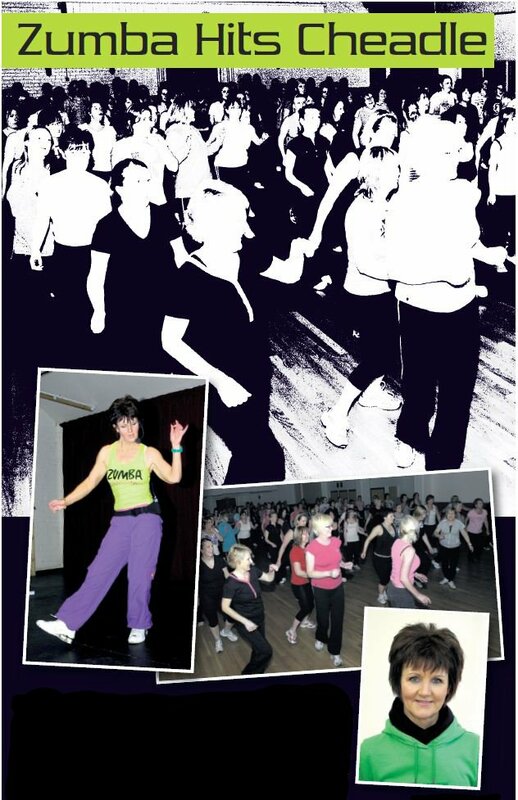 The action packed exercise sessions combines latin dances and music with tribal, bollywood, rock, pop and disco to create a really fun sing along class. By no means a conventional form of keeping fit, Zumba takes place in the Guild Hall, Cheadle and instructor Maura works hard to make it as informal as possible. The 47 year old from Cheadle told the Times and Echo: “There is no intimidating, fully lit dance studio with floor to ceiling mirrors. “This can be off putting and create an intimidating atmosphere but at the Guild Hall we lower the lights and turn the glitter balls on. “We held two taster classes took place at the beginning of December and saw an overwhelming response from people turning up to try it out. 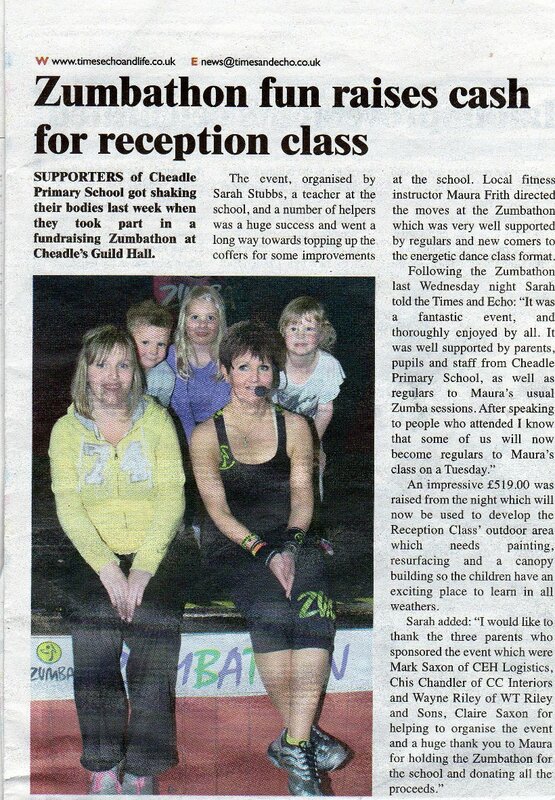 “ Z u m b a has become a hugely successful fitness craze and is suitable for all age groups, shapes and sizes. 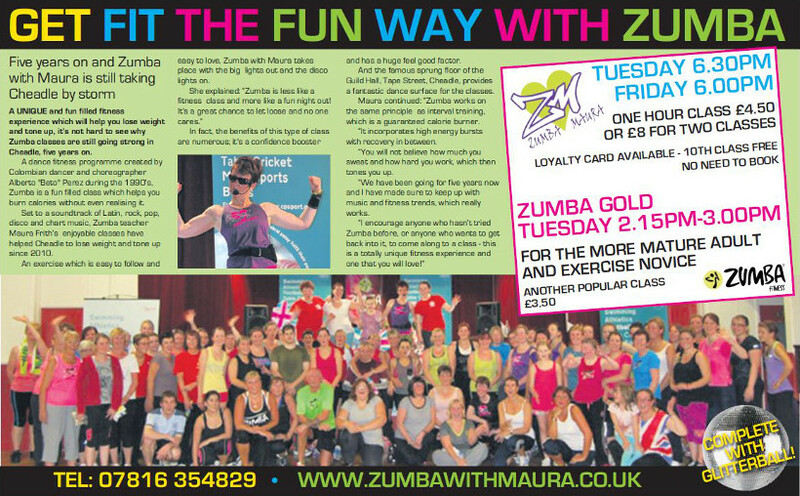 Zumba can help to burn more than 600 calories per session and is lots of fun to boot. It is great for toning and general health and fitness - perfect for shedding those extra festive pounds and will leave you with a true feel good factor. 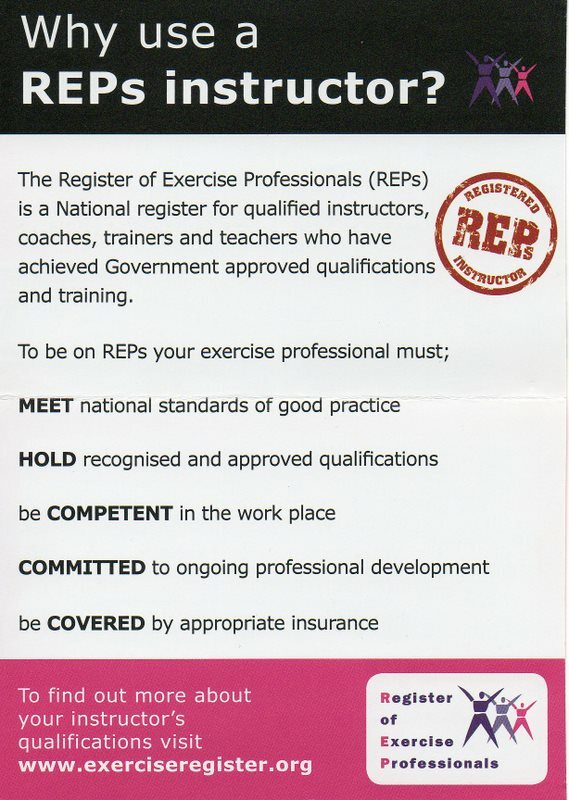 The classes take place every Tuesday evening 6:30pm to 7.30pm and every Friday evening 6pm to 7.00pm.